It’s that Halloween carpet cleaning offer time of year again! The nights are getting darker and so are the carpets! If you book now you can save a huge about with our Halloween Carpet Cleaning Offer! We’ll clean three areas for just £89! 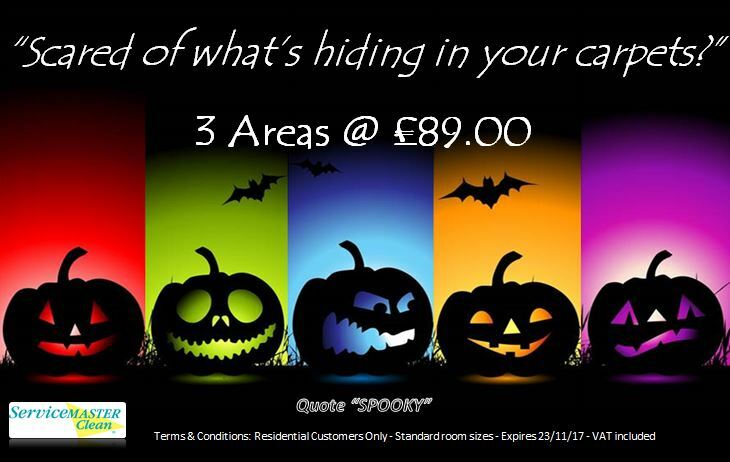 Call our Torquay office now on 0800 018 5550 and don’t forget to quote ‘Spooky’ to get this offer. We cover most of the county including East Devon, Sidmouth, Exeter, Newton Abbot, Torbay, Dartmoor, Totnes and Dartmouth.